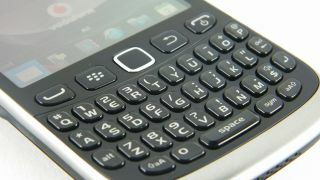 The first QWERTY keyboard-toting BlackBerry 10 device may be at a disadvantage, with apps not optimised for its display. According to Canadian news site the Financial Post, Victoria Berry from RIM has said the firm won't release the SDK for its QWERTY handsets until after the January 30 launch date. This would mean developers cannot adapt their applications for the smaller display ahead of time meaning devices will go to market without properly coded native apps. It's not like the QWERTY keyboard has gone off the boil, with RIM senior director Bob El-Hawary telling Vodafone recently the firm "will also be announcing a physical keyboard device" at the January 30 launch event. El-Hawary was also quick to point out that the number of new apps being submitted to BB 10 is breaking records: "we're confident that we'll launch with tens of thousands of apps, a record for the launch of any new mobile platform." With so many apps apparently ready to go, it's even more surprising that the physical keyboard device - currently referred to as the BlackBerry X10 - won't be able to take full advantage of them from the word go. We're sure all will become clear at the end of the month when RIM finally launches BlackBerry 10 and hopefully gets its business back on track.